He is back as Prem and will be taking over the big screen on this Diwali. Salman Khan is here, along with Sonam Kapoor with their Prem Ratan Dhan Payo. Apart from PRDP, he is busy with Sultan and of course the weekends are booked with Bigg Boss Double Trouble. Still, there is something that he regrets not being part of. Khan says that it is unfortunate that he could not be a part of filmmaker Sanjay Leela Bhansali's upcoming magnum opus Bajirao Mastani. Over the years, the film has gone through several cast changes. Bhansali had initially announced to make this period drama with Salman and Aishwarya Rai but the break-up of the rumoured couple hurt the project. Later, stars like Shah Rukh Khan, Ajay Devgn and Hrithik Roshan were rumoured to have been cast in the project before Ranveer Singh was finalised as protagonist Bajirao. As for the female lead, talks were on with Kareena Kapoor but nothing got materialised. Finally, the casting woes ended with Priyanka Chopra and Deepika Padukone stepping into the roles of Kashibai and Mastani (Bajirao's first and second wife respectively) in this epic Indian romance. "I feel unfortunate to not be part of Bajirao Mastani. I had to be part of Prem Ratan Dhan Payo. I have heard the script..it is a very nice script." Salman Khan reveals that he and Kareena had even done a photoshoot for Bajirao Mastani but later he could not proceed with the film (this, we have already reported to you). "Me and Kareena also did a photo session together. (Now) I have seen the promo of it (Bajirao Mastani) .it has been done on a large scale. I think all three -Ranveer, Priyanka and Deepika are amazing," he added. "Even at the start of this movie (Bajirao Mastani), there was a certain casting that he was looking for. If that was to come to be. you all know that there was a possibility of me being Mastani if there was a certain Bajirao (Salman) he was trying to cast. But if that did not come to be then we had openly talked about it. It is not something to think over. fret over. Every film has its destiny and finds the way it is meant to be." 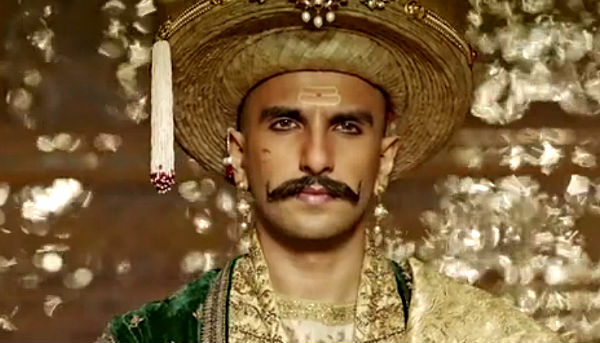 Bajirao Mastani is going to release on December 18.